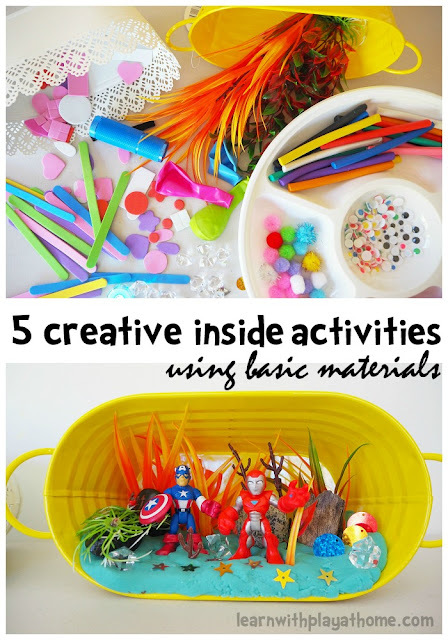 Here are some great creative indoor activities, perfect to keep the kids happily playing and learning for hours. This post is brought to you by Nuffnang and The Reject Shop. See the bottom of the post for a Giveaway! With Winter fast approaching, the days are becoming colder and wetter and more of our play is moving inside. It can, at times, feel difficult to entertain children inside for hours (or days) on end, without resorting to television and technology. However, with just a few basic, inexpensive materials, it's amazing the fun that can be had. I hit up my local 'The Reject Shop' to see what I could come up with. Here is a simple little activity, quick to set up, that can have children busily creating for ages. 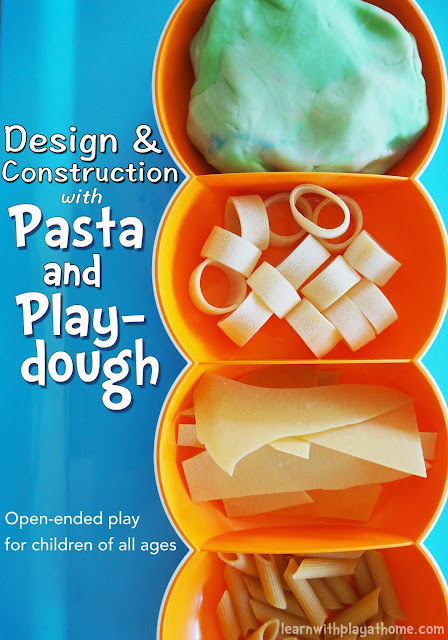 When I set out this invitation-to-play with playdough and pasta, it was with the intention to use it to further our interest in building and design. We talked about architecture and the different ways buildings are made these days. If you like, you can have a look at our engineering activity and use the pictures of different buildings as inspiration. 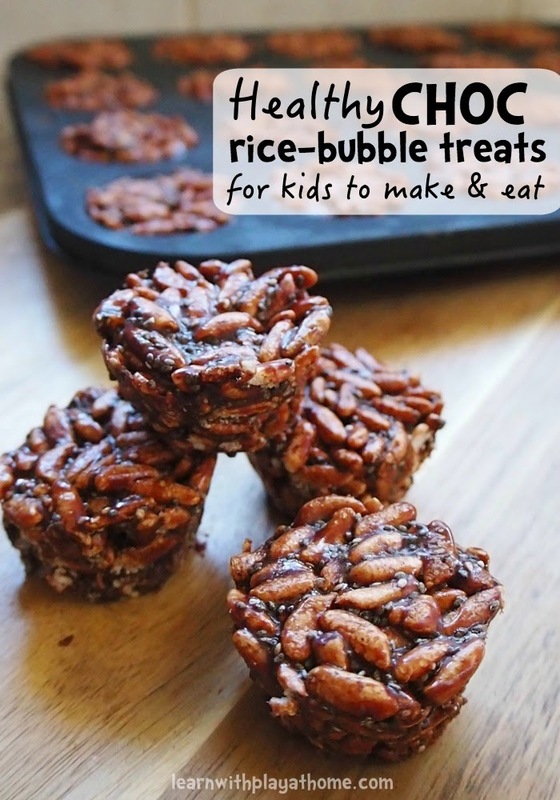 This activity can encourage creative thinking, problem-solving, fine-motor skills, literacy skills, hand-eye-coordination, mathematical concepts, design, concepts of gravity and more.